Detective Comics #934 (2016) Art & Cover by Eber Ferreira, Eddy Barrows. Written by James T Tynion IV. RISE OF THE BATMEN. An unknown predator begins outdoing Batman, taking down dangerous threats with military precision. It’s up to the Dark Knight and series costar Batwoman to rally and train the young heroes of Gotham City to end this mysterious threat! Detective Comics #935 (2016) Art & Cover by Eddy Barrows & Eber Ferreira Cover. Written by James T Tynion IV. 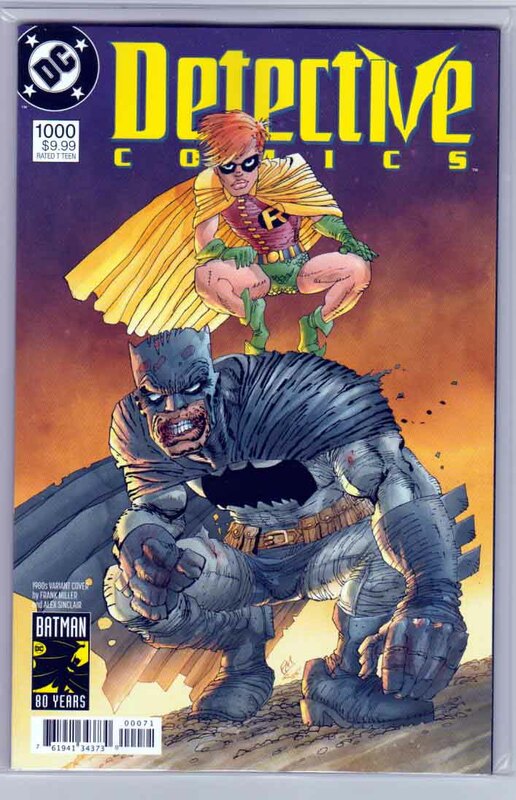 "Rise of the Batmen", part two Batman and team find themselves in the crosshairs as the villain they've begun hunting turns the tables on them. Batman and Batwoman have the skills to survive, but do their young teammates? Is this where hero training ends in tragedy? Detective Comics #936 (2016) Art by Raúl Fernández, Alvaro Martinez. Cover by Eber Ferreira, Eddy Barrows. Written by James T Tynion IV. In issue #936, Batman is M.I.A., and it's time for Batwoman to take the reins! But can she control a strike force that's barely worked together, including unstable wildcard Clayface? Detective Comics #937 (2016) Pencils by Raúl Fernández, Alvaro Martinez. Regular Alvaro Martinez Cover. Written by James T Tynion IV. "Rise of the Batmen", chapter four Batman's found his way into the heart of the Colony, the mysterious new organization cutting its way through Gotham City! Unfortunately, now that he's in he may find there's no way out! Detective Comics #938 (2016) Pencils by Raúl Fernández, Alvaro Martinez. Regular Alvaro Martinez Cover. Written by James T Tynion IV. 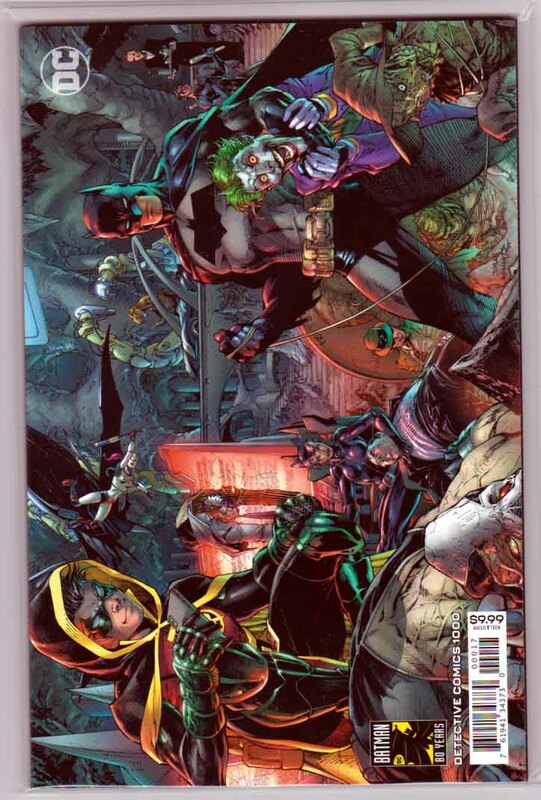 "Rise of the Batmen", part five Batman, Batwoman, and the entire team take the fight to the deadly Colony! Those highly trained operatives took the Bat-team apart on their own turf, so how will they fare when the Colony is in its element, with all their weapons trained on our heroes? 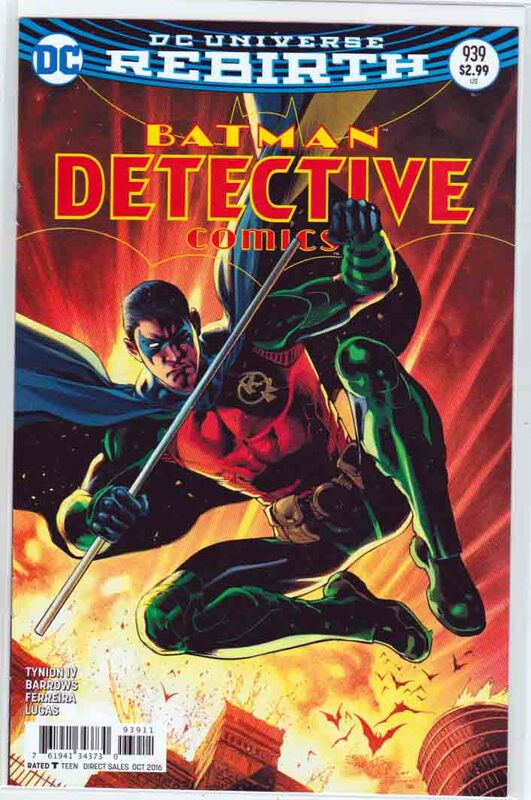 Detective Comics #939 (2016) Regular Eddy Barrows Cover. Pencils by Eddy Barrows. Written by James T Tynion IV. "Rise of the Batmen", part 6 The full scope of the Colony's plans, and their mysterious leader, have all been revealed, so what's it going to take to stop them? Believe us, you are not prepared for the last scene! 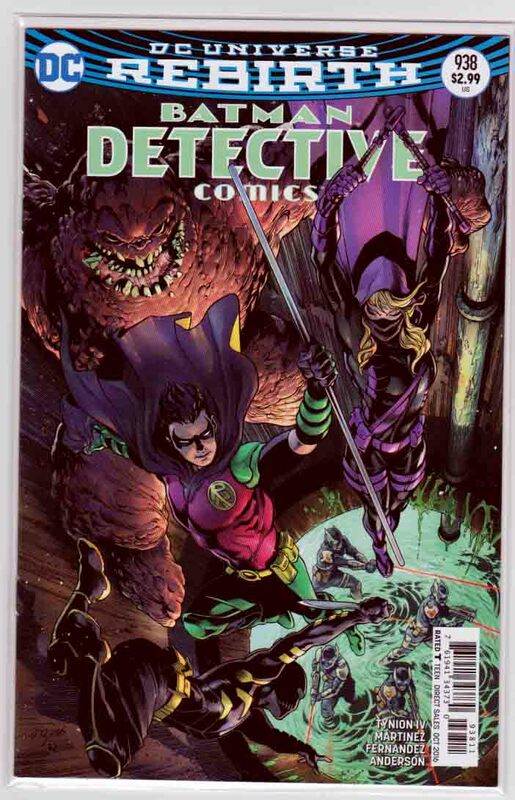 Detective Comics #940 (2016) Regular Eddy Barrows Cover. Pencils by Eddy Barrows. Written by James T Tynion IV. This epic concludes with a battle against the Colony that will change Batman's world forever-and in a way you'd never expect! Whether they win or lose, they've already lost. 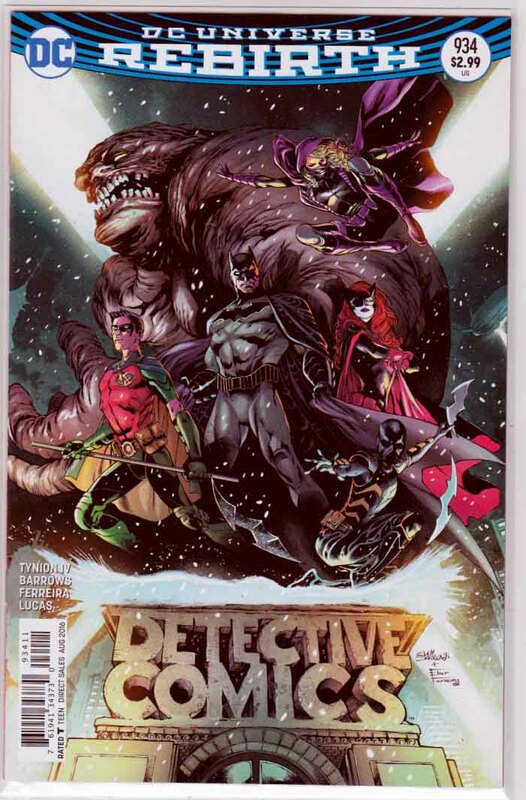 Detective Comics #974 (2018) Guillem March Cover, Pencils by Jesus Merino, Written by James T Tynion IV, Death of Clayface Aftermath "Knight's Fall" Can Tim Drake piece his dreams back together after Batwoman's fateful decision, or will the Gotham Knights go their separate ways? 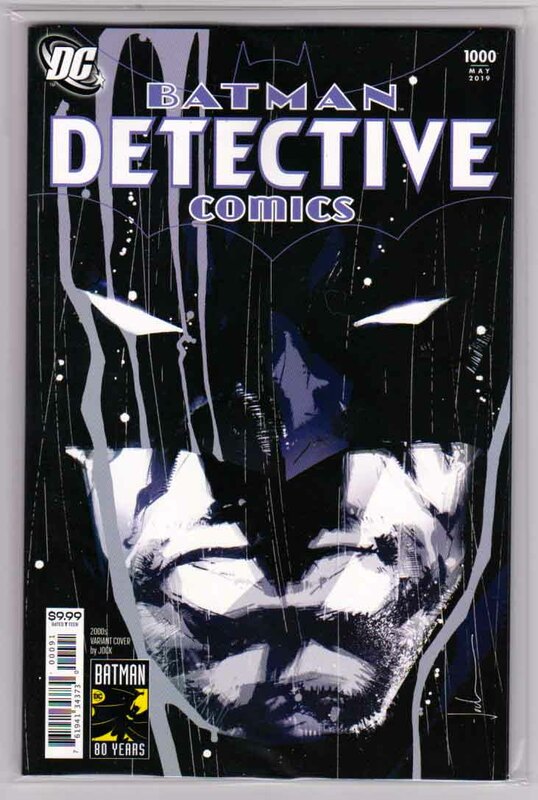 Detective Comics #990 (2018) John Paul Leon Enhanced Foil Cover , Pencils by Stephen Segovia, Written by James Robinson Batman is hot on the trail of a murder suspect, but first he'll have to get past Two-Face. Even though Harvey Dent seems to be asserting control, how long before he becomes a sociopathic criminal once again?? 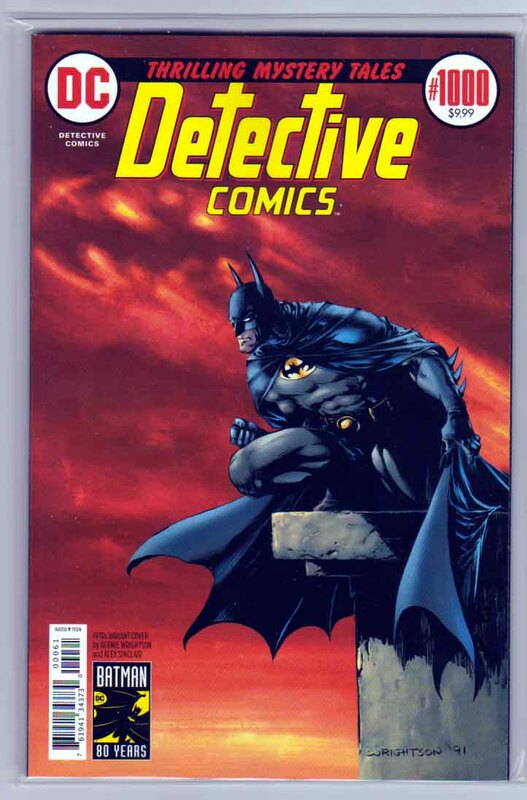 Detective Comics #999 (2019) Variant John Byrne Cover, Pencils by Jaime Mendoza, Written by Peter J. Tomasi The truth behind the gauntlet Batman has been forced to run—a violent odyssey that endangered the lives of everyone who made him who he is—is revealed at last...and the mastermind working to unmake the Batman must be seen to be believed! Is there a goal here beyond destruction? Will Batman emerge stronger...or with a mortal wound at the exact moment that his most dangerous challenge yet is on the horizon in next month’s DETECTIVE COMICS #1000? 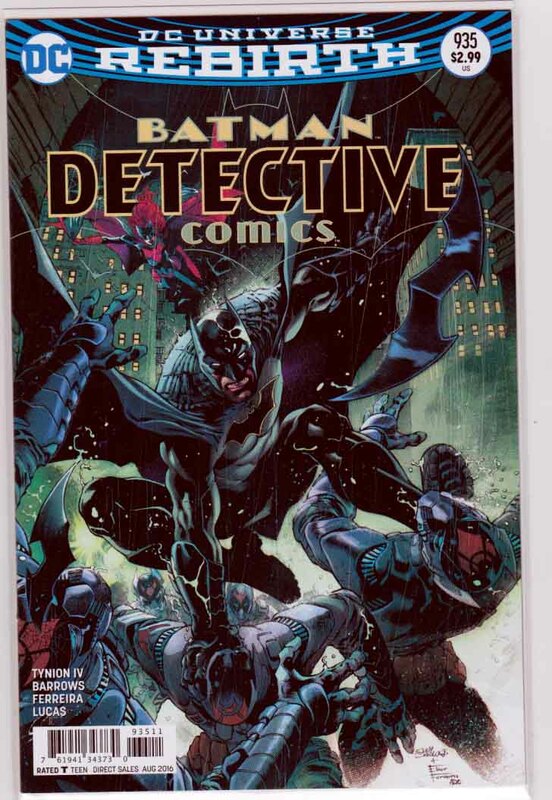 Detective Comics #1000 (2019) Variant Jim Lee Midnight Release Cover, Pencils by Various Artist, Written by Various Writers After 80 years, it’s here—the 1,000th issue of DETECTIVE COMICS, the title that literally defines DC! This 96-page issue is stacked with an unbelievable lineup of talent that will take you on a journey through Batman’s past, present and future...plus a sensational epilogue that features the first-ever DC Universe appearance of the deadly Arkham Knight! But who is under the mask? And why do they want Batman dead? The incredible future of Batman adventures begins here! 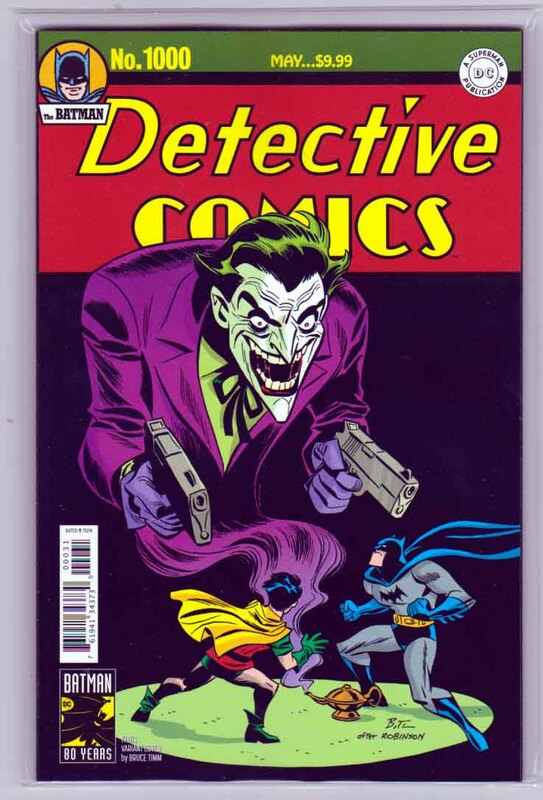 Detective Comics #1000 (2019) Variant Bruce Timm Cover, Pencils by Various Artist, Written by Various Writers After 80 years, it’s here—the 1,000th issue of DETECTIVE COMICS, the title that literally defines DC! 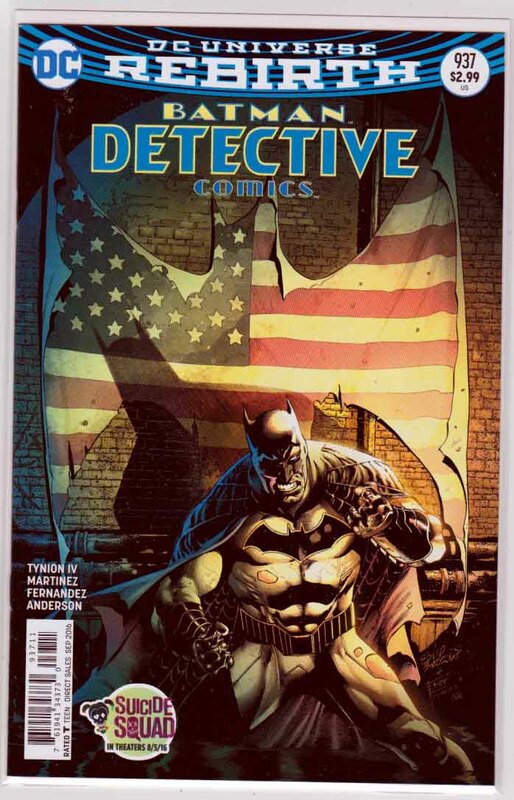 This 96-page issue is stacked with an unbelievable lineup of talent that will take you on a journey through Batman’s past, present and future...plus a sensational epilogue that features the first-ever DC Universe appearance of the deadly Arkham Knight! But who is under the mask? And why do they want Batman dead? The incredible future of Batman adventures begins here! 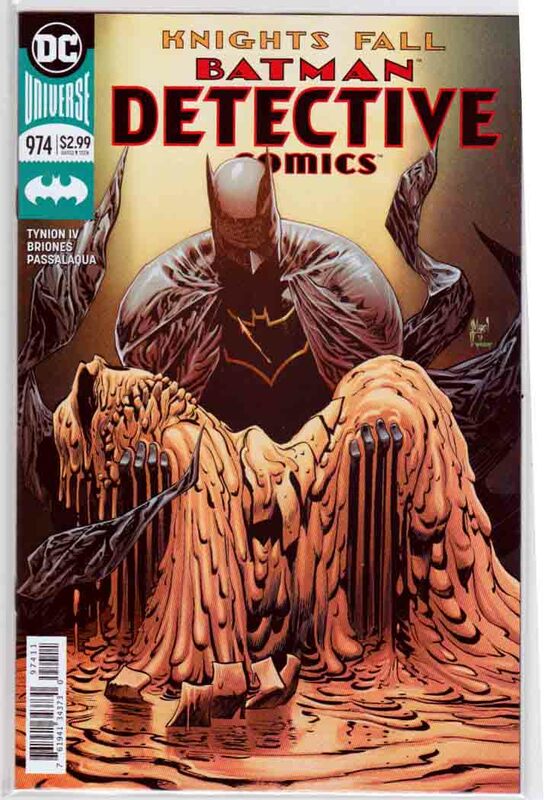 Detective Comics #1000 (2019) Variant Bernie Wrightson Cover, Pencils by Various Artist, Written by Various Writers After 80 years, it’s here—the 1,000th issue of DETECTIVE COMICS, the title that literally defines DC! 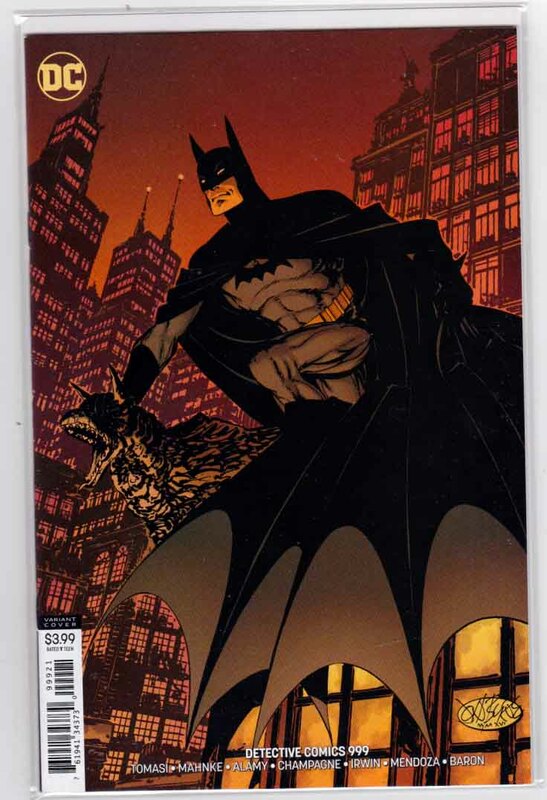 This 96-page issue is stacked with an unbelievable lineup of talent that will take you on a journey through Batman’s past, present and future...plus a sensational epilogue that features the first-ever DC Universe appearance of the deadly Arkham Knight! But who is under the mask? And why do they want Batman dead? The incredible future of Batman adventures begins here! 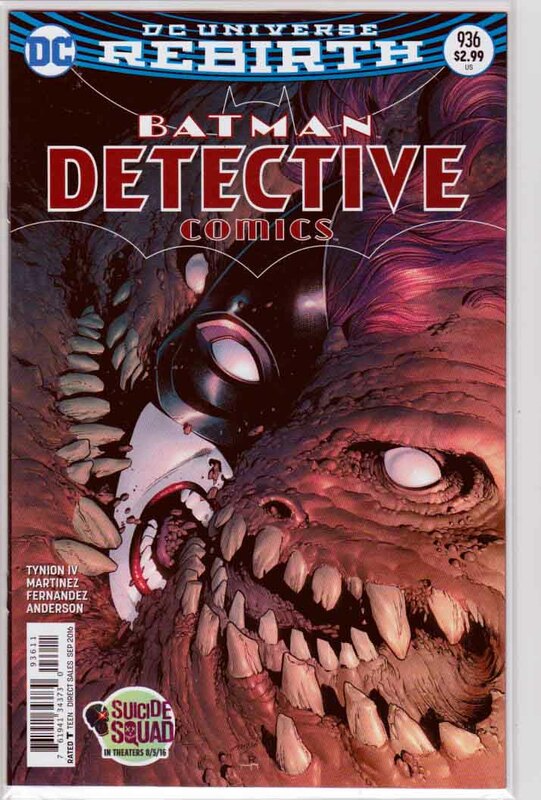 Detective Comics #1000 (2019) Variant Frank Miller Cover, Pencils by Various Artist, Written by Various Writers After 80 years, it’s here—the 1,000th issue of DETECTIVE COMICS, the title that literally defines DC! This 96-page issue is stacked with an unbelievable lineup of talent that will take you on a journey through Batman’s past, present and future...plus a sensational epilogue that features the first-ever DC Universe appearance of the deadly Arkham Knight! But who is under the mask? And why do they want Batman dead? The incredible future of Batman adventures begins here! 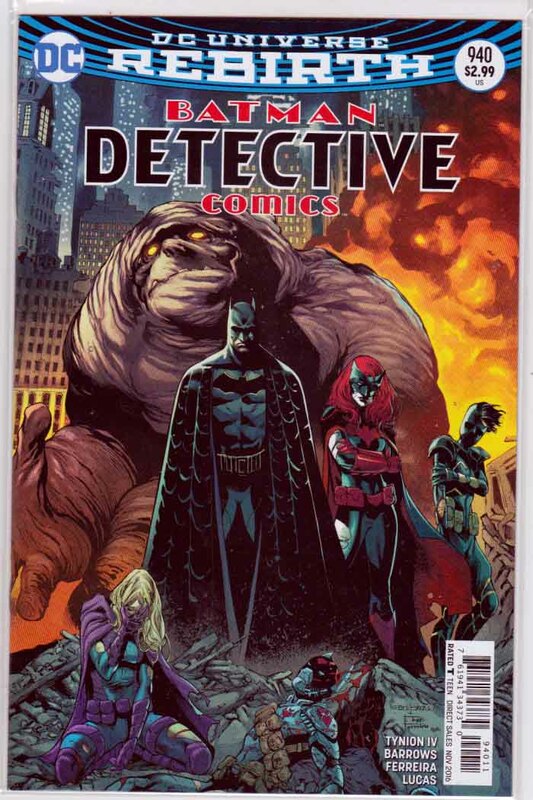 Detective Comics #1000 (2019) Variant Jock Cover, Pencils by Various Artist, Written by Various Writers After 80 years, it’s here—the 1,000th issue of DETECTIVE COMICS, the title that literally defines DC! 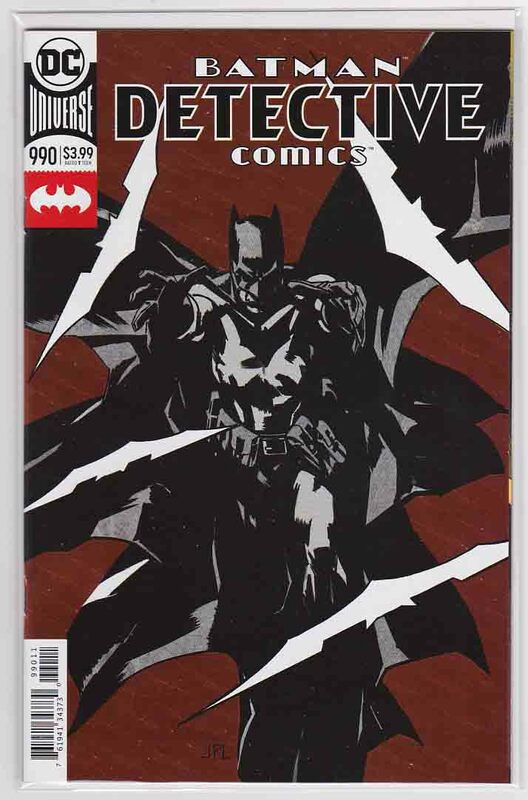 This 96-page issue is stacked with an unbelievable lineup of talent that will take you on a journey through Batman’s past, present and future...plus a sensational epilogue that features the first-ever DC Universe appearance of the deadly Arkham Knight! But who is under the mask? And why do they want Batman dead? The incredible future of Batman adventures begins here!